Tonight, we cooked. This time, it was at an iron chef style cooking competition at the GE Monogram demo kitchen. 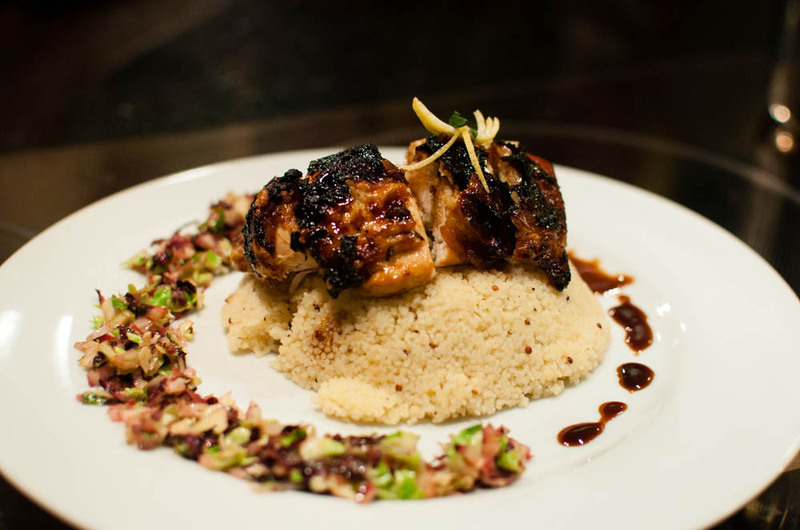 With our 20 minutes, we pulled together a pretty impressive dish of couscous with roasted chicken breast and a fall vegetable saute. This was all finished with a tamari ginger glaze. Even though we didn’t ultimately win, we definitely won for plating, at least in my eyes.